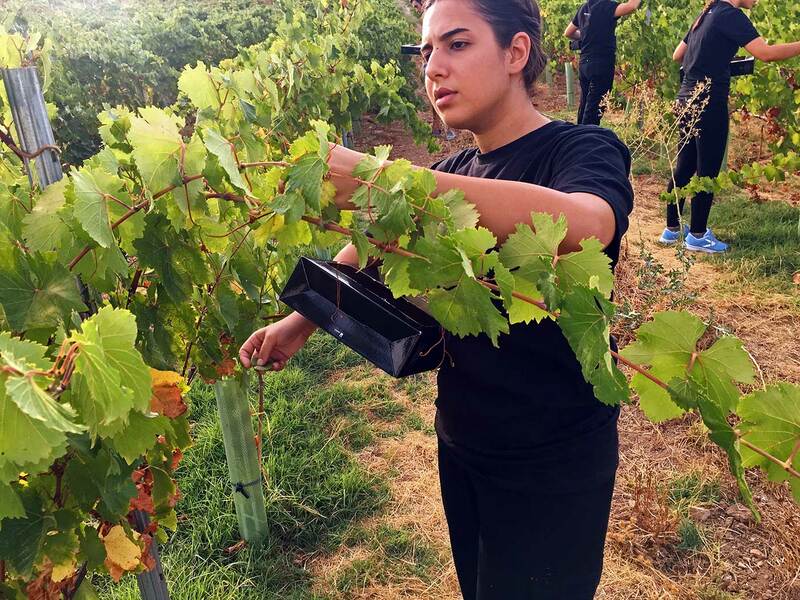 Ten members of the Noor Restaurant team have selected and collected six thousand vine leaves. 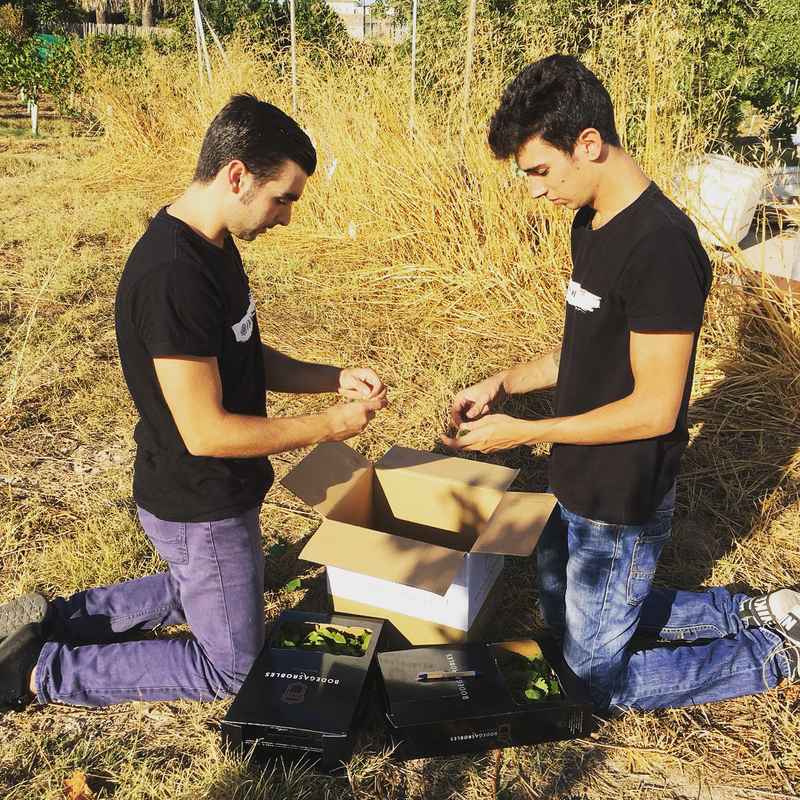 With the arrival of autumn, the chef Paco Morales is devising a new menu for Noor Restaurant, the gastronomic space rewarded with a Michelin star located in the Cañero district of Cordoba. 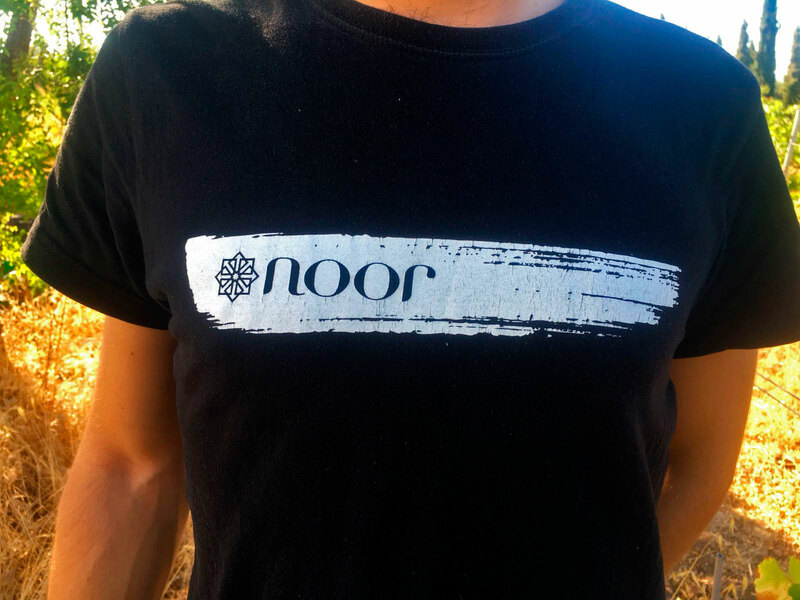 Noor’s contemporary Andalusí Cuisine, this season recreates the The Almoravid and Almohad Empires founded in the 12th century. 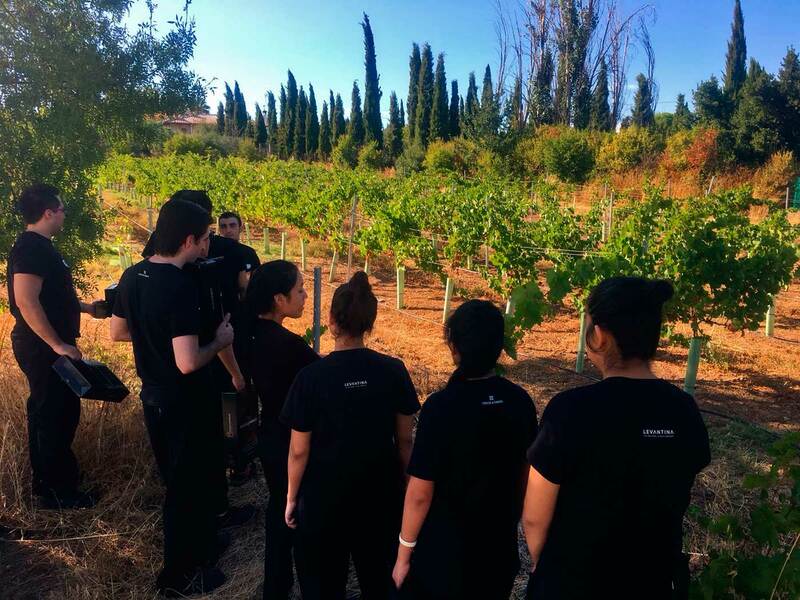 The result of a long process of research by historian Rosa Tovar that inspires Paco Morales and his team for their most innovative creations. 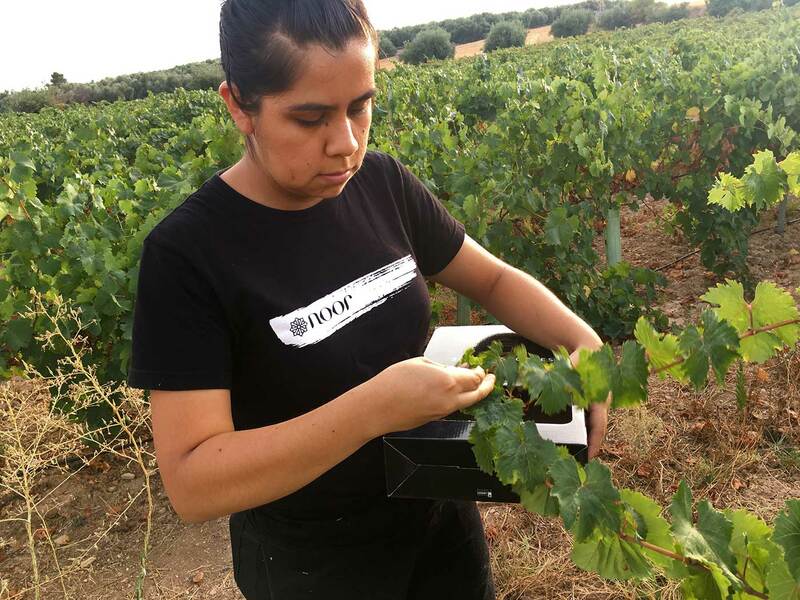 This week, ten people from Noor’s team have selected and collected six thousand vine leaves of the Pedro Ximénez variety, a medium sized leaf with a pentagonal shape and low hair density on the underside. 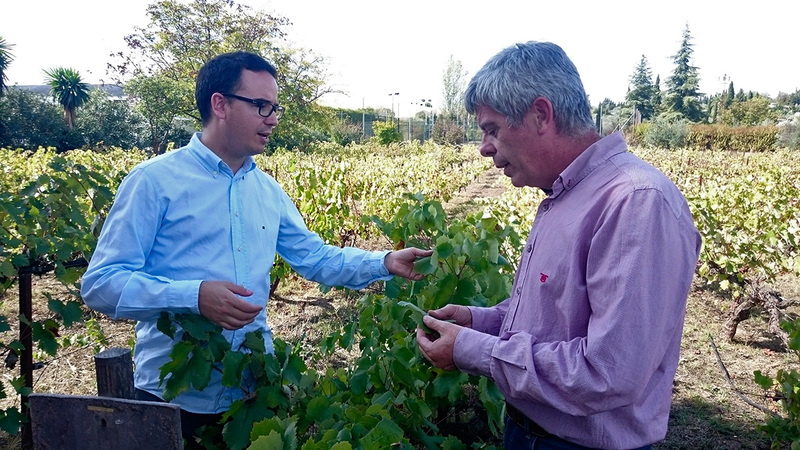 Bodegas Robles continues its circular economy project with the use of by-products of wine and viticulture. 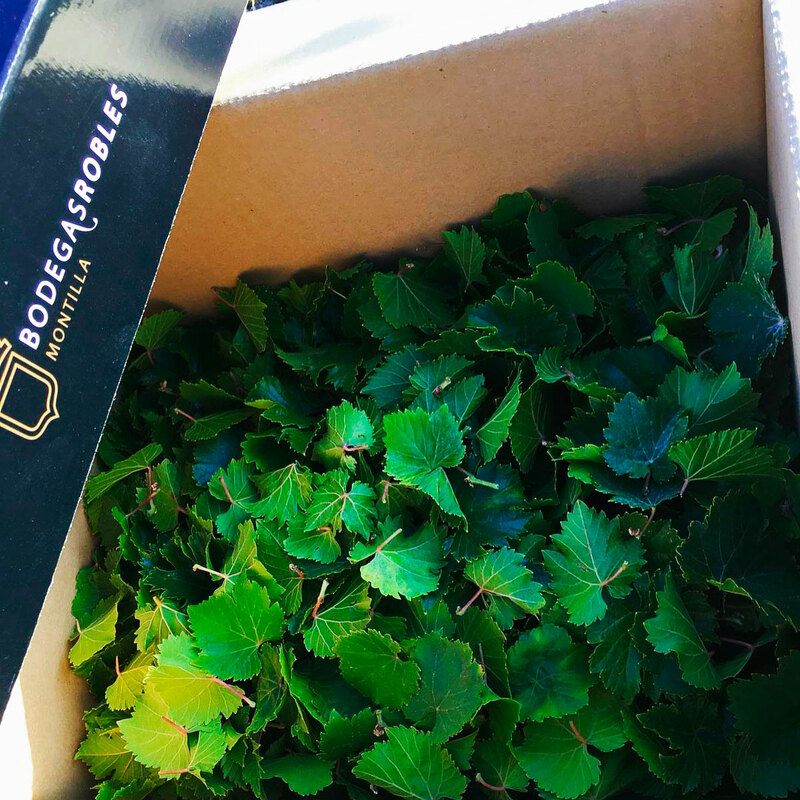 Noor, which means light in Arabic, gives vine leaves an unexpected life at the table. 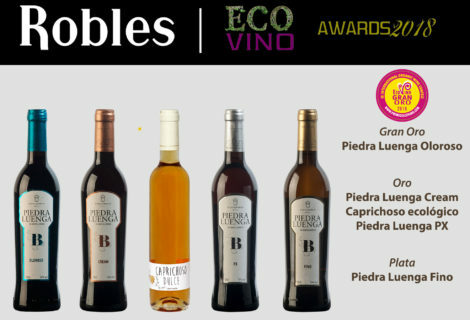 Bodegas Robles, in collaboration with several research centres, already started in 2009 the project “Eat the wine” for the development of foods derived from their organic wines. 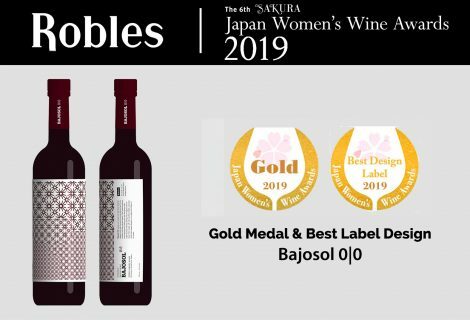 Produced slowly, in a traditional way, without aggressive heat treatments that allow you to fully enjoy sensations such as viscosity, astringency, velvety impressions, cold or heat, salivation caused by acidity or geometric textures and volume. 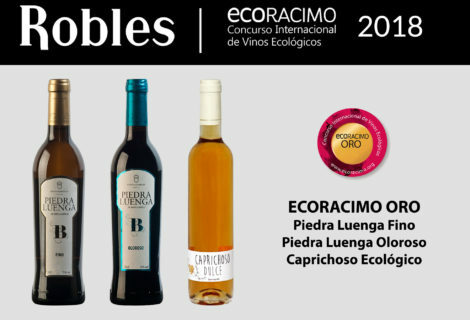 The closest experience to eating wine. 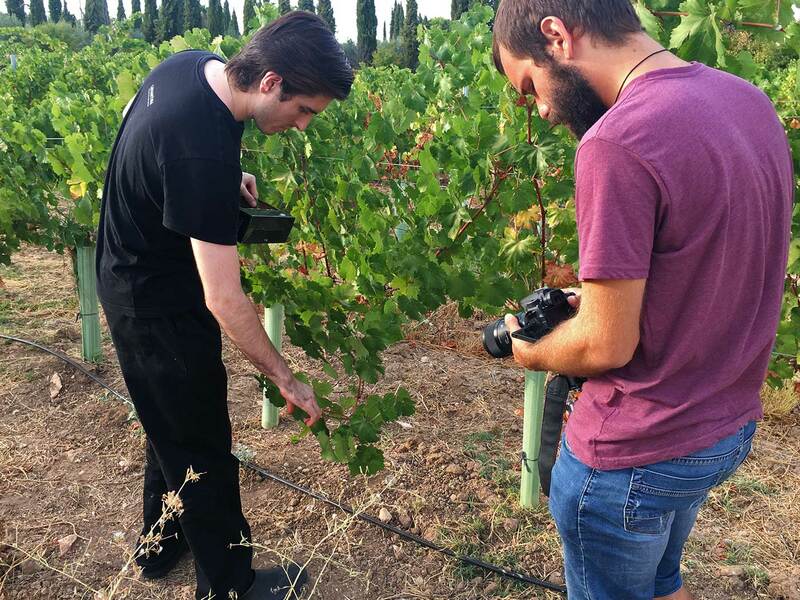 With this project, Bodegas Robles and Noor begin the experience “Eating the vine”. 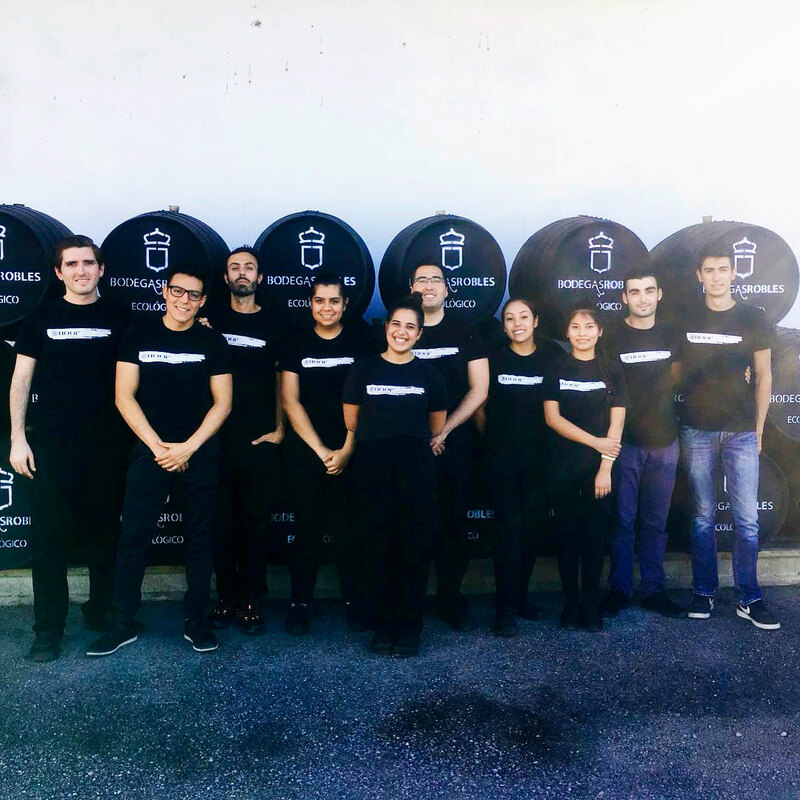 In short, Noor and Bodegas Robles state that talent spreads and generates more talent, that by stimulating initiative and creativity, they are transmitted from one sector to another, ranging from gastronomy to producers, from art to research and from here in all directions. 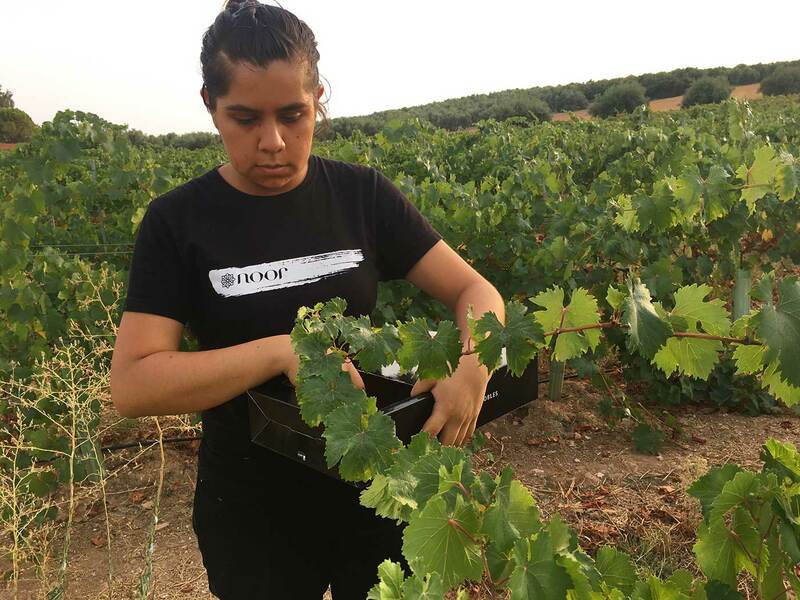 Noor’s team select and collected six thousand vine leaves at the Robles Family Vineyard. 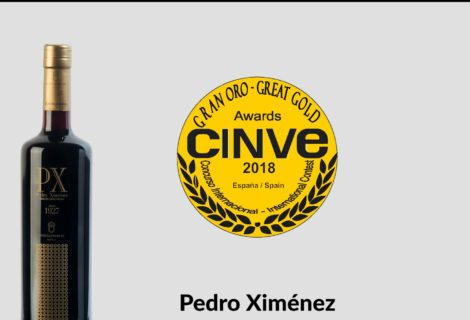 Grand Gold at CINVE 2018 for Pedro Ximénez Selección de Robles 1927.